the holder is great, looks elegant, and fits my 6inch big phone perfectly. great product. thanks. Stand very satisfied. + gift from store. Thank You very much! Stand does looks cooler! Although delivery was delayed. Recommend!!! Thank you so much! 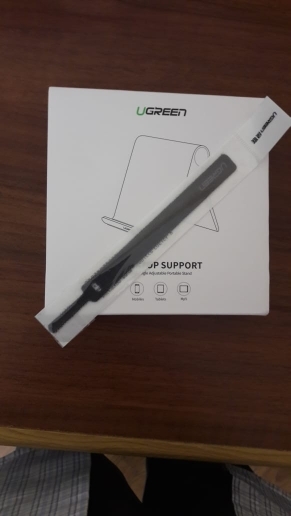 I ordered 29.08.2018g, received order 21.09.2018G. Stand super and good, quality and thank you for the gift. I am very satisfied! Recommended to buy in this store!! !